Billionmore.com is the online store based in Thailand. We provide our customers with variety of top quality products e.g. soccer jerseys, shorts and many other merchandise. Our store philosophy is to offer hassle free online order system, fast worldwide delivery as well as fast turn-around customer service. Jini : contact for affiliate, advertising, sponsorship, join BillionMore team, solve claim, add Facebook friend and other social media etc. Deer : contact for website problem, error about system. 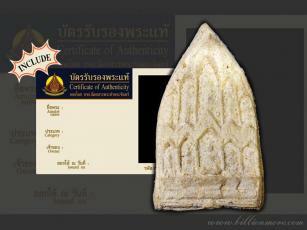 Aim : contact for amulet request, search/procure sacred products, Temple tour and pay homage to Buddha image in Thailand. Visit well-known Luangpu/Layman and sacred place. 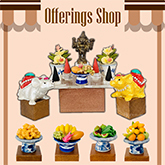 Bank: contact for buy/rent the amulet request, guarantee of the amulet, request about large/clear pictures of product, join donation, make merit and other special services. Emon : contact for Katha request, translation service as well as delivery date/evidence of the order. Rung : contact for extra condition of packing and casing. Kim : contact for MuayThai outfit as well as MuayThai souvenirs request,Clearance stock available, invoice for payment and delivery lead time. Pang : contact for MuayThai fashion design such as add fonts or patches or produce new collection for individual, gyms or wholesalers. Paint and draw the unique cartoon for fighters. This is the most convenient way to pay us. Paypal accepts most major debit and credit cards online. Payment is handled in USD and absolutely free of charge at buyers' side. However, you need to subscribe with them before sending payments. We accept all VISA and Master card. Your credit card will be processed by ThaiEpay. You can send instant payment through Western Union Money Transfer service. Please contact Western Union office in your area for more information. You can also send cash in USD and all other major currency. Please be sure to use registered airmail or EMS so you can always track it. Bare in mind that the risk is yours. We will ship your order only if we receive your cash. You can transfer money directly to our Bank Account. However, we accept this method for payment over 1000 USD. If less than 1000 USD, sender need to add $10.00 per payment for bank fee. Shipping charge is calculated basd on actual weight on the shopping cart page. Please note that parcel will need some one to sign for. If it is delivered when nobody is at home, a postman may leave a note and bring a parcel back to the post office. You will have to go get it within a couple of weeks otherwise they will send it back to us. If this happens you will be required to pay for the second round shipping postage. Registered airmail from Thailand is partially insured. If your parcel gets lost the post office will start investigation. The process may take up to a year until they make decision on how much compensation would be. In order to avoid the problem that may happen, we recommend you to purchase extra insurance. So in case a parcel is not delivered within a certain period of time (see below) we will ask the post office to track it. It takes at least 14-30 days to find out the parcel. Once we get a confirmation that the parcel is undelivered/lost, we will resend a new one right away. Insurance rate varies from countries to countries. It will be automatically calculated when you place an order. We mark every box as a gift and declare a value of $10 - $15 per box. However, this does not guarantee that your parcel will get through customs without customs duty and import taxes. Please check with the customs office in your country for more information on tax rate. We are in no way responsible for customs tax/duty and customs seizure. We offer satisfaction guarantee. In case you are not happy with our products for any reason you can send them back to us for a refund or exchange. If you want to exchange with something else, you are responsible for shipping charge of the new items. Also, the customer is responsible for all shipping charge back for exchange items. In case you want to refund please note that shipping charge that we have already paid cannot be refunded. If a product is not appropriate for your size or you find out that the design is not what we agree, you can send it back for exchange. We cannot offer refund for clothes and boxing stuff as the item in this category is personally customized. The inquiry for exhange must be made within 7 days since the item is accepted. The customer will have to contact us with the adequate detail and photographs of the defected item. If the exchange is agreed, the customer have to ship it back within 7 days and have to be responsible for shipment fee. We will be responsible for the cost of reshipping the item. Please follow this step strictly. 1. Please take a photo of the returning amulet and send to us by e-mail first. We need time to check condition of the items and will send an email for confirmation with returning address. 2. Please double wrap the amulet with the most careful. This is because it was found that many times the amulet was broken while its delivery back to us. When it arrive to us, if its condition is not the same as the image or broken, we cannot accept for returning and it is customer’s responsibility to pay for the cost of reshipping. 3. After sending please send RC code of registered airmail to us. 1. Buy amulet not over 1 month charge 10% returning/restock fee from full price. 2. Buy amulet since 1-3 moth ago charge 20% returning/restock fee from full price. 3. Buy amulet since 4-5 month ago charge 30% returning/restock fee from full price. The policy from 1-4 is for all amulets except Direct mall , Pre-order and Promotional amulets. *** Direct mall and Pre-order amulet not accept returning. The customer can send the amulet to sell on our website as consignment. For this resale, we will charge 10% from full price of amulet as the consignment fee. We will refund after sell the amulet. Please take deep consideration before you decide to buy any products from us because it is buyer's responsible for shipping cost. By the way, amulet needs to be in perfectly condition. 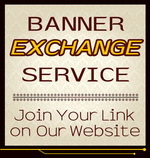 We accept maximum 3 pieces for exchanging. PS. We don't accept returning of these items ; liquid/gel amulet i.e. oil and see-phueng (wax), Necklace/Bracelet/Ring as well as CD/DVD and Book. "Thank you so much for your speedy response and fast shipping! I really appreciate that! "